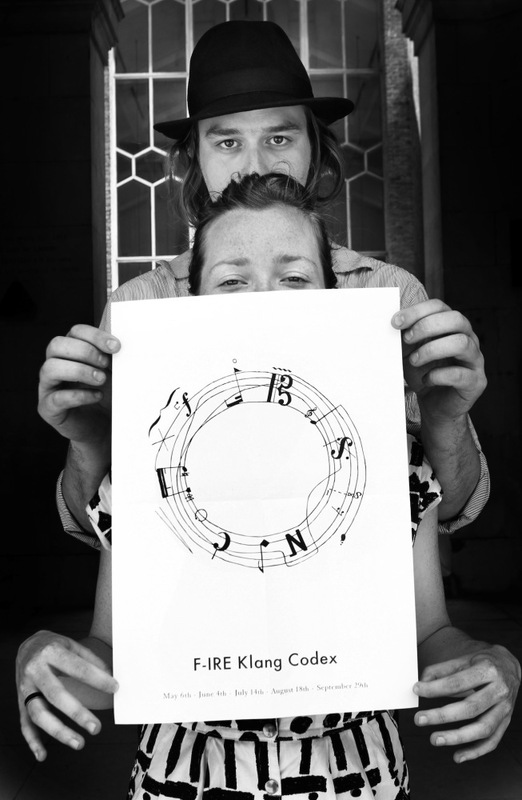 A series presented by F-IRE Collective and Kammer Klang, curated by Fred Thomas. Fourteenth century France was a place of radical musical developments, particularly in rhythmic structures, polyphony and notation systems. The greatest testament to this style is the Chantilly Codex, a book of music by Ars Subtilior composers featuring the exquisite mannerist notation of the time. This Codex, with it’s heart-shaped musical scores, staves representing the strings of a harp and riddle canons set out in 33-bar spirals, has become something of an obsession, hugely influencing my own composition. The experimentation of composers such as Solage, Johannes Ciconia and Baude Cordier gave birth to a brief effervescence of richness and complexity, a period of highly idiosyncratic art which left little in the way of posterity. In this respect it seems to me to have the capacity to connect deeply with contemporary artists; this fleeting and isolated style, in leaving no immediate descendants, retains its perennial novelty and remains forever gilded in mystery. The F-IRE Klang Codex monthly concert series is an attempt to gather my musical thoughts and influences into one beautiful place: a church. Churches are profoundly peaceful spaces in which deep focus and concentration become a little easier, but they are also resonant spaces where, tired of grating PA systems and excessive volume, one can revel in rich, natural, acoustic resonance. The beautiful St. George-in-the-East Church is one of six Hawksmoor Churches in England and houses an organ and a very special Bluthner grand piano. It is also situated by the infamous Ratcliffe Highway, an old Roman Road know in the 19th century as home to, according to one visitor, the “lowest types of humanity of almost every nation”, as well as the opium dens frequented by Oscar Wilde, and was later the site of the historic anti-fascist Cable Street Riots. In the programming of this concert series my own musical experiences have been combined with those of other F-IRE Collective and Kammer Klang members – in particular Lucy Railton – to compile an unwritten codex that represents our present-day activities in London. The music therein is full of bizarre and perhaps inescapable 21st Century contrasts – from Ars Subtilior to Senegalese Griot music, from Gyorgy Kurtag to Hildegard von Bingen – and certainly has a more nebulous identity than the Chantilly Codex. That is an inexorable fact of our current musical lives, but I do hope that through the haze of eclecticism these strange combinations will be strangely illuminating.